Just when the warm weather brings you out of hibernation, Mother Nature brings out the pollen, making some of us feel like we just want to go back inside again. If you suffer from seasonal allergies, you have probably heard a lot of different theories and advice. You've probably also tried different remedies, either natural and traditional or pharmaceutical. 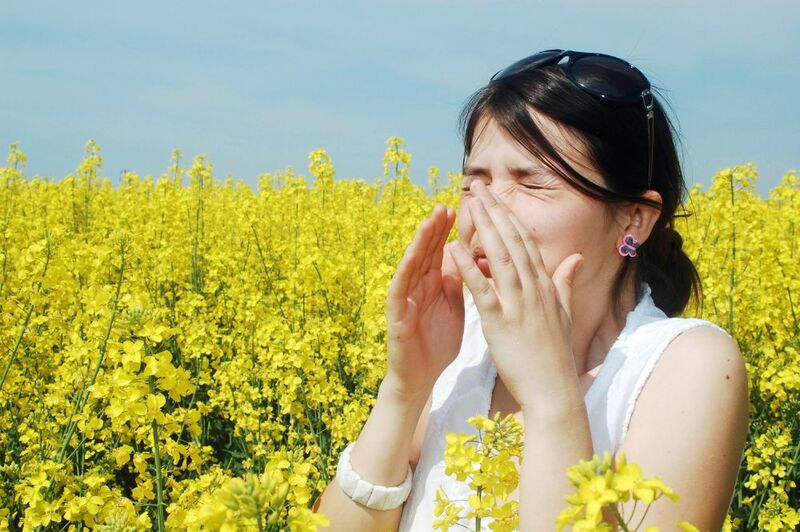 Trees and grasses produce pollen, which flies through the air and causes allergic reactions. Flowers rarely cause allergic reactions because their pollen is carried by insects, so little of it is ever actually in the air. Some of the common trees that cause spring allergies are oak, birch and pecan. Timothy and Bermuda grasses are also two major allergy-triggering culprits in the spring and early summer. You can develop new allergies at any time, even as an adult. If your eyes, nose and throat are itchy, your nasal drip is clear and thin and symptoms last longer than 2 weeks, it could be allergies. The logic in this theory is that since bees make honey from pollen, eating honey that may contain pollen will build up a tolerance to the allergens. This is not how it works - there is no evidence that honey — even if it comes from a local hive — alleviates allergies. Honey is ineffective because it's the airborne pollens in trees and grasses that cause allergies, not the pollen in flowers that bees use to make honey. Allergy medications do treat symptoms after they start, but they work better as a preventive treatment before the onset of the spring allergy season. By beginning to use them before the season and continuing throughout, you'll get the best results. Are you suffering from allergies? Pascallerg® is a non-drowsy homeopathic remedy to relieve symptoms of hay fever and other allergies. The small tablets can be used for children and adults! Pascallerg® has been used for decades and works effectively to relieve the symptoms associated with allergies including skin reactions, watering eyes, sneezing and wheezing. It is useful for not only seasonal allergies but also many other allergies, including skin and food allergies.